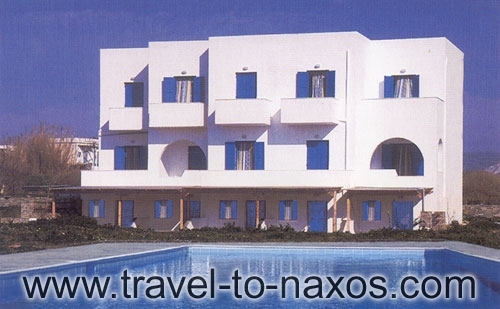 This is a modern complex of fully equipped apartments and studios situated in the quiet location of Agios Prokopios resort, just 150 metres from the famous St Prokopios beach. For your convenience, several restaurants, cafes, and mini markets are within walking distance. Also for your convenience, Colosseo Star provides a free transfer to and from the port (3 km) or airport (1.5 km). Should you wish to explore this beautiful island, the bus stop is only 100 metres from the complex. 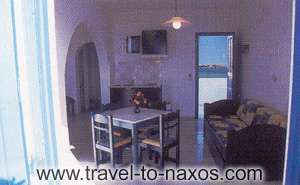 All the rooms are spacious and are tastefully decorated to create a warm and relaxing atmosphere. The cheery combination of white, blue and yellow will evoke the colours and feeling of your holiday. Each room has a private balcony or veranda, from which you can enjoy a quiet drink while watching the sunset. 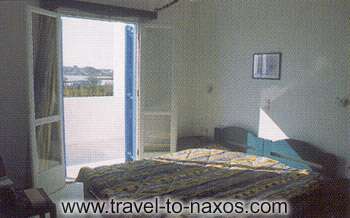 The family environment and tranquility will make your holiday on Naxos an experience hard to forget!